I'm rolling on the floor laughing...awesome pictures!!! Maybe we'll have to make our way over there after all! Very fun - I totally love the train and that it belongs to Grandma and Grandpa - that rocks! That looks like so much fun! Way to go on posting the "9 chins" picture! :-) And that ferris wheel! Holy cow! That picture makes my stomach turn too....and the thing looks like it my crash to the ground at any minute! The train - and the closing show - it all looks like a great time with family! That looks like a whole lot of fun. I remember doing stuff like that with my cousins. You are one busy lady! I was dying with laughter over your pictures! It is so what happens when I try to get a picture of my two girls with me. However, I always leave out my double chin pictures :D Do you have a stage in your house? I am GREEN with envy! I LOVE rollercoasters. But I just CANNOT do the ferris wheel. I don't know what it is...but no thanks! How fun... I would sure love Callie to get know all her darling cousins. Looks like you had tons of fun and laughs. Bravo on the the show. I loved the zoo there, it was great fun. Very fun, You have had a fun summer. You did great on all your projects. Come and show me how to do my table. I love all the old amusment rides. The octopus is my favorite! 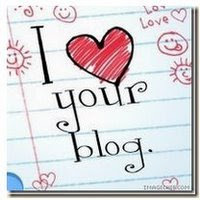 When I read your blog it always makes me smile. Your such a great mom. I have seen those blue barrels in a yard very close to my house! Is that where grammy and grampy live?